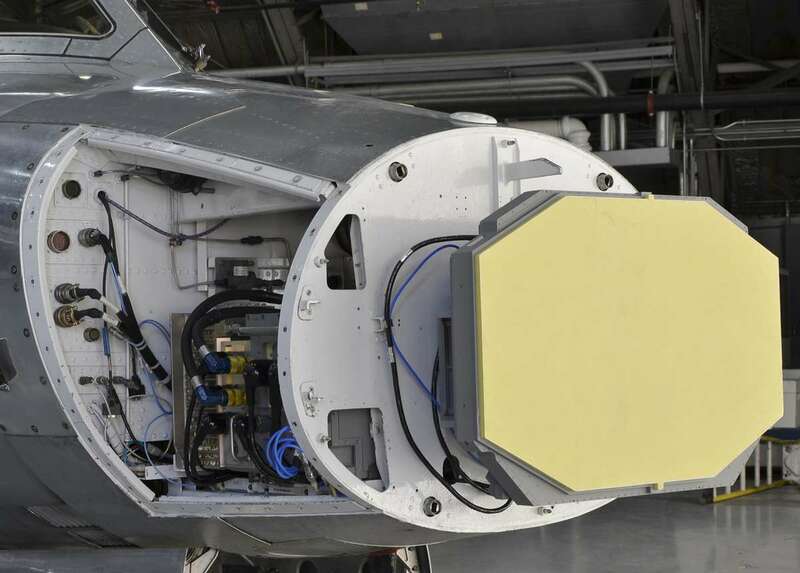 The AN/APG-83, SABR	(Scalable Agile Beam Radar) is an active electronically scanned array (AESA) multi-function and fire control radar. It is intended to replace AN/APG-66 and AN/APG-68 radars. AN/APG-83 includes higher processor power, higher transmission power, more sensitive receiver electronics, infrared signature and Advanced Interference Blanker Units, and Synthetic Aperture Radar (SAR), which creates higher-resolution ground maps from a greater distance than existing mechanically scanned array radars. The radar features an increase in detection range of air targets, and increases in processing speed and memory. The U.S. Air Force (USAF) has installed the AN/APG-83 radar on its own F-16. Northrop Grumman is under contract to Lockheed Martin to supply 142 AN/APG-83 systems as part of the Taiwan Air Force F-16 upgrade program.